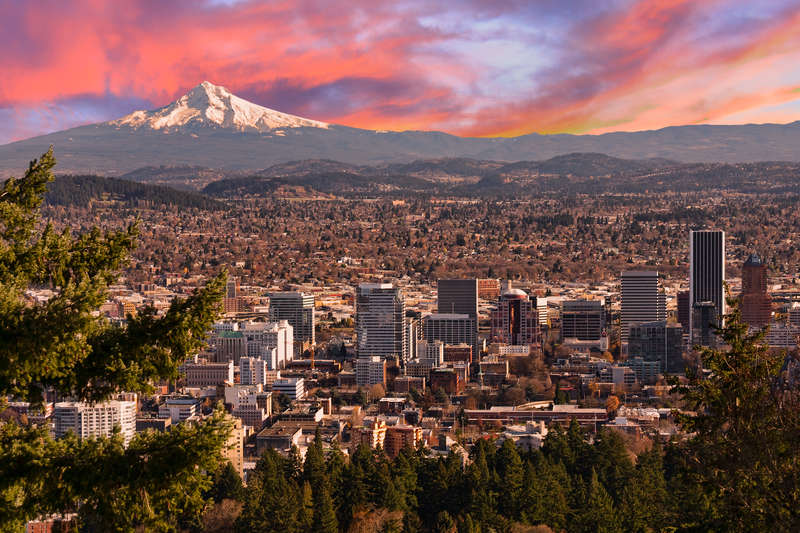 Portland, the largest city in Oregon that was named in a coin toss, is nestled between the Columbia and Willamette rivers, in the shadow of snow-capped Mount Hood. It is well-known for its parks, bridges and active citizens, as well as for its eco-friendliness, microbreweries and coffeehouses. 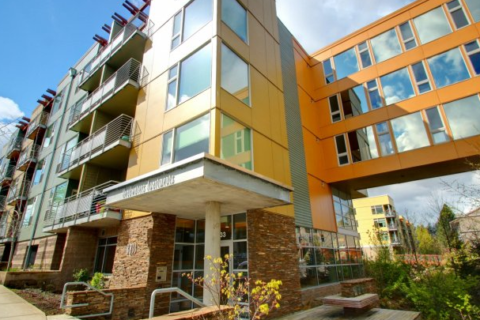 Portland is also one of the only cities in the world to house a medical school, a naturopathic college, a chiropractic college and a college of oriental medicine. With a population of more than 600,000 people, its residents experience the cultural advantages of a major city, but with small town charm. The community vibe sets Portland apart from other large cities with its art walks, galleries, theaters and Saturday Market. It has endless shopping and dining choices, an award-winning public transportation system and never-ending activities. Whether you’re a foodie, adventurer, musician, pet lover, or a home beer brewer (or maybe a mixture of all of these and more), Portland has something for you. The motto is, “Keep Portland Weird,” and its residents take that to heart. Portland is a beautiful city, with a backdrop of Mount Hood and flowing rivers, and is known as one of the most environmentally friendly cities in North America, and third most in the world. Portland is located 60 miles east of the Pacific Ocean at the northern end of the most populated region in Oregon, the Willamette Valley. Downtown Portland is less than 10 miles from the Columbia River, which divides Oregon from Washington state. 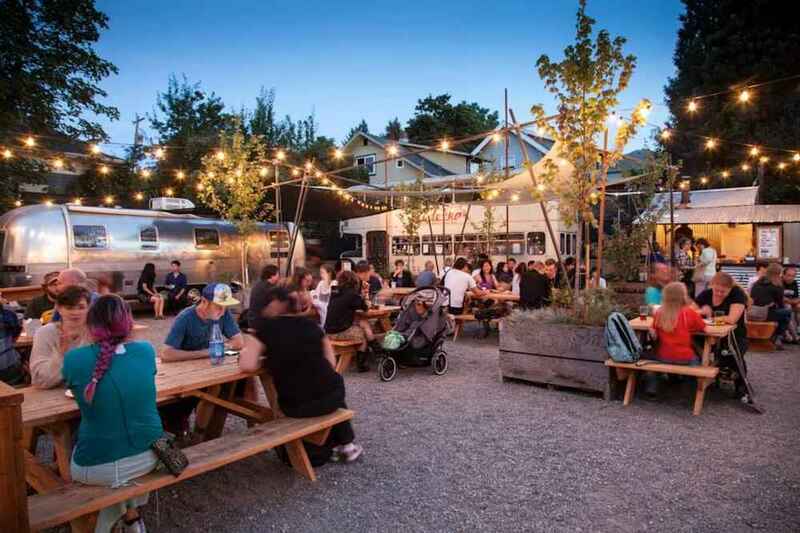 Portland is one of the best cities in the world for street food and was ranked as the #12 best street-food city in the world – thanks in large part to Portland’s huge food cart scene. No matter what you have a hankering for, take a stroll down the street and you will see trucks with specialty flavors from all over the world. 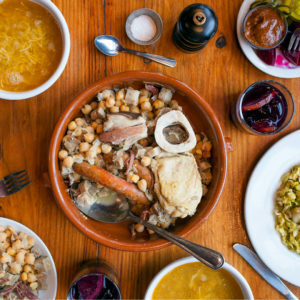 If you have dietary restrictions, Portland is home to hundreds of options for the gluten-free, dairy-free, meat-free, anything-free citizen. Voodoo Doughnuts, is a world-famous whimsical donut shop where locals and visitors line up 24 hours a day for exotic-flavored doughnuts. After your stroll around the food carts, it won’t be hard to find something to drink with your dishes. The city has the most breweries and independent microbreweries of any in the world. Wine tasting is also a popular activity with many urban wineries to explore. Not in the mood for homebrews or a glass of wine? There is always coffee, and Portland residents love their coffee. The statement is made abundantly clear due to the nearly 3,000 coffee shops in the area. Some of the best include Stumptown Coffee, a former nickname for the city, Barista, Rain or Shine or Good Coffee. Portland has a lively music scene and is home to famous bands such as the Dandy Warhols, Everclear, Pink Martini, the Shins and the Decemberists. There are many performing arts institutions including Oregon Ballet Theatre, Oregon Symphony, Portland Center Stage and Portland Opera. 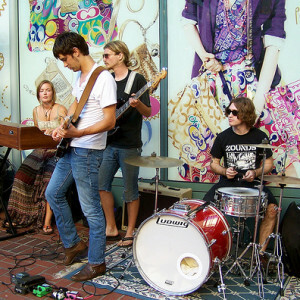 Portland hosts several music festivals each year that bring world-famous bands to the state. For sports enthusiasts, there is the NBA basketball team, the Portland Trail Blazers, a junior hockey team, the Winterhawks, and a minor league baseball team, the Hillsboro Hops that is an affiliate of the Arizona Diamondbacks. Portland hosts two professional soccer teams: the Major League Soccer team, the Timbers and the National Women’s Soccer League team, the Portland Thorns. Portland also serves as the center to an elite running group, the Nike Oregon Project. Along with this incredible location, Portland promises many fun outdoor activities. 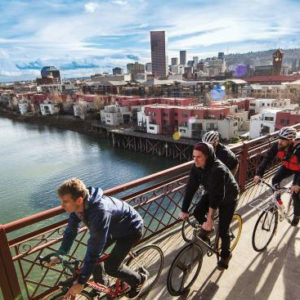 Bike tours give you a chance to see the city from a new perspective and Forest Park extends from Northwest Portland with trails for running, biking or hiking enthusiasts. It is one of the largest urban parks in America. The Oregon Zoo is a popular family attraction, as well as the Japanese Garden, Silver Falls State Park and winter sports on Mount Hood. Running is a popular activity in Portland. The city hosts a number of races including the Portland Marathon and the Shamrock Run that draws over 30,000 participants, held annually on St. Patrick’s Day. Parts of the Hood to Coast Relay, the world’s largest long-distance relay race (by number of participants), adventure through the city too. Depending on the year, UWS has the opportunity for you to run these races as part of the university team and running club too. Need a new pair of running shoes? The Portland metro area is a headquarters for athletic and footwear giants such as Nike and Adidas. Portland has many options both indoor and outdoor. For rainy days, the Oregon Museum of Science and Industry (OMSI) is one of the leading science museums in the country – and very family-friendly. The Portland Art Museum is the oldest museum in the Northwest and is internationally renowned for an exciting art experience. Head to Powell’s, the largest independent new and used bookstore in the world, to find the perfect book by your favorite Oregon author such as, Chuck Palahniuk, author of the award-winning novel Fight Club or Cheryl Strayed, New York Times bestselling author of Wild, a memoir about her inspirational 1,000-mile hike on the Pacific Crest Trail, that was recently made into a movie. While you’re here, venture beyond Portland and explore the Seven Wonders of Oregon.